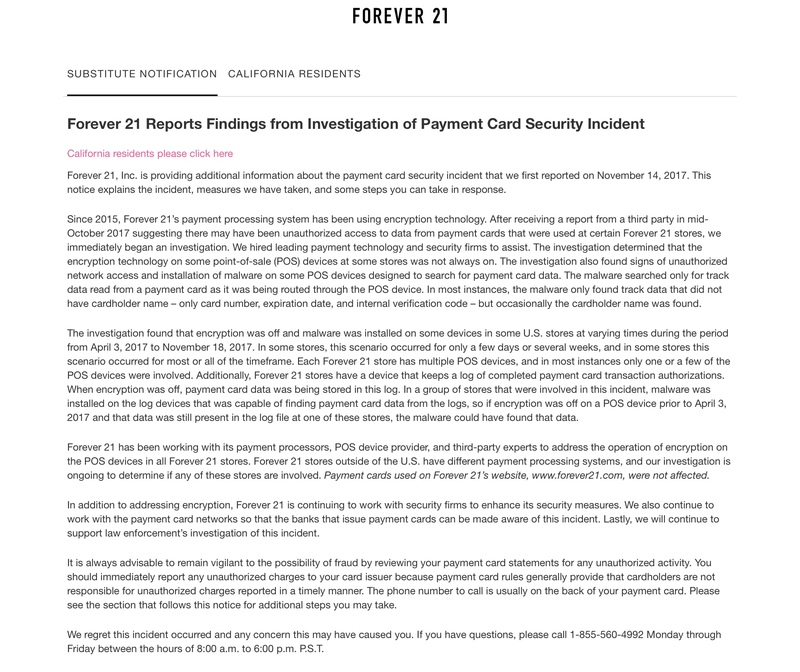 As Forever 21 says in its announcement, the breach did not affect stores outside of the US, or the online store as they both use a different system to process credit cards. It’s always a good idea to keep an eye on your credit cards bills, bank statement, and credit report to look out for any unusual activity. If you went shopping at Forever 21 that may now be even more important.